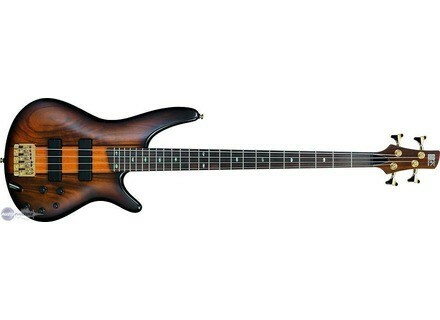 SR750, 4-string bass guitar from Ibanez in the SR Standard series. Ibanez presents the SR750 et SR755 bass guitars, two newcomers in the brand's Soundgear series. The 4-string SR750 and 5-string SR755 models feature a mahogany body with a walnut top -- a feature that visually sets them apart from other models and, most importantly, is meant to enhance the warmth of the mahogany body. Both models are available in Brown Sunburst Flat finish and are equipped with Bartolini MK1 pickups. MSRP is $749.99 for the SR750 and $799.99 for the SR755. Squier Classic Vibe Precision Bass 60s After the '50s, the '60s: Squier presents the Classic Vibe Precision Bass, an electric bass aimed at delivering the true Precision Bass experience.